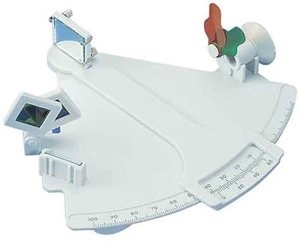 The result of years of practical experience in the manufacture of precision instruments, this plastic sextant has been used as the sole means of navigating both the Atlantic and Pacific oceans. Enabling the yachtsman to take a ship to any port of the world, it is used by professional, amateur and student navigators alike. This rugged, full-sized instrument reads to within 2 of arc! Instruction booklet included. Full 7" (178 mm) arc Four sun shades Instantly adjustable. Corrosion proof.